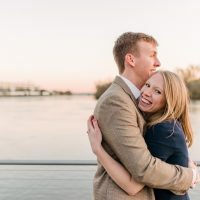 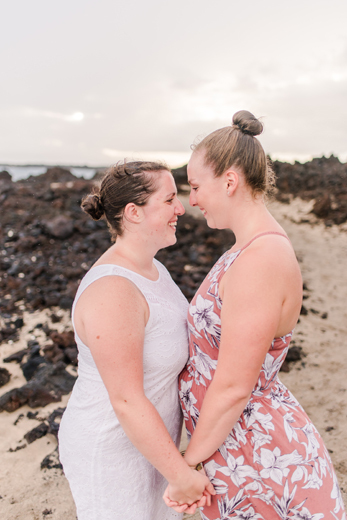 It's hard to believe how fast time is flying, but we are officially six months out from Julie and Julie getting married!! 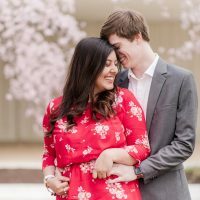 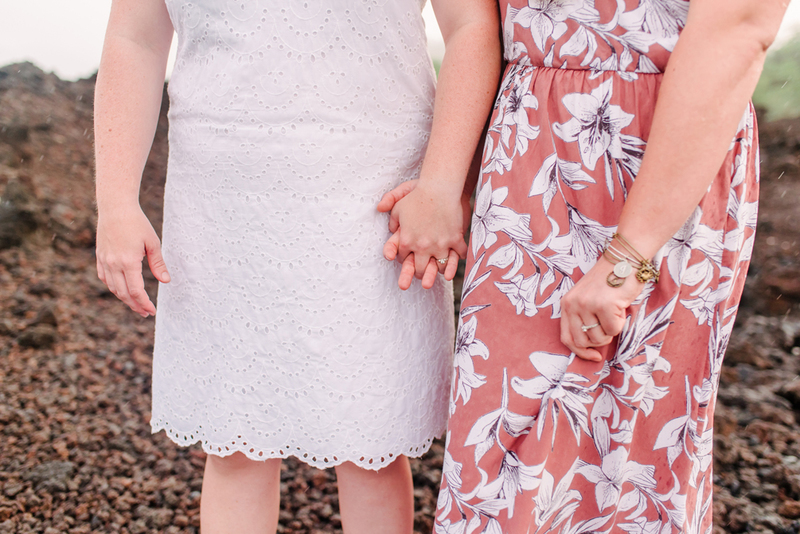 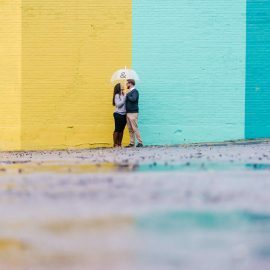 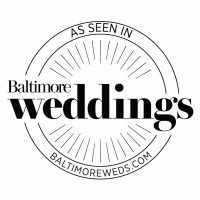 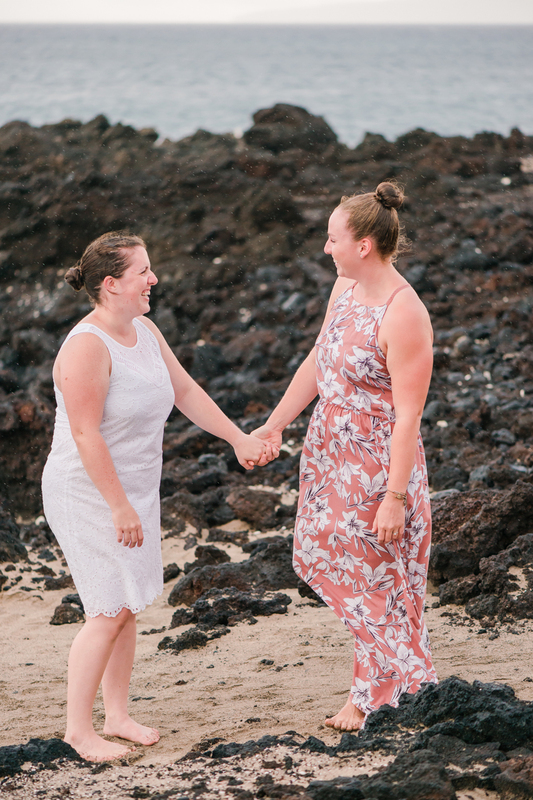 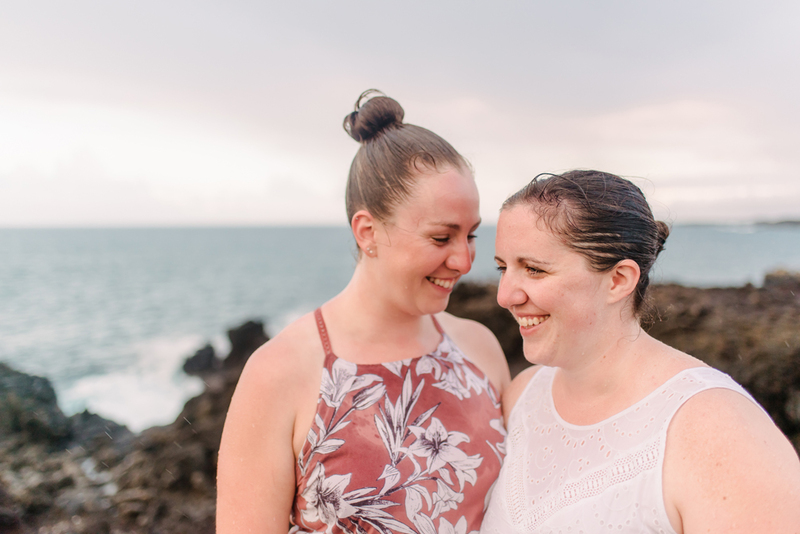 These two awesome ladies will be getting married here in Maryland, and while we took some really fun photos around Ellicott City this past spring, we had an opportunity for more photos that we definitely could not pass up!! 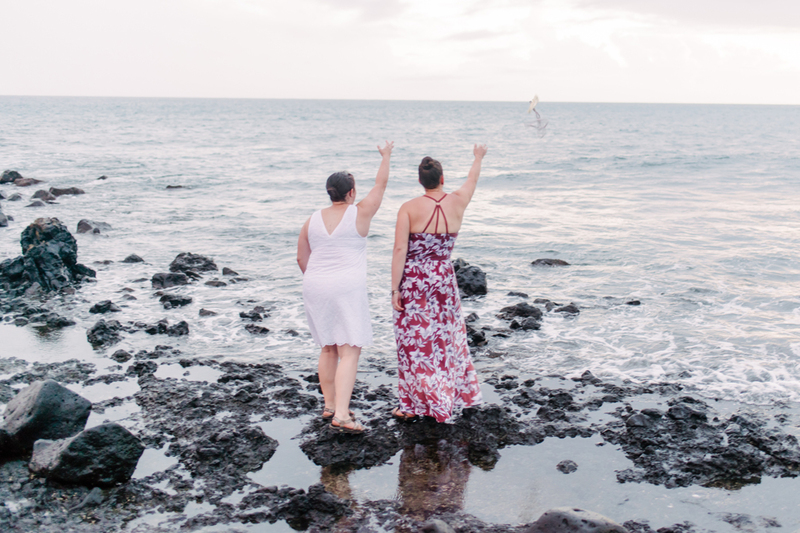 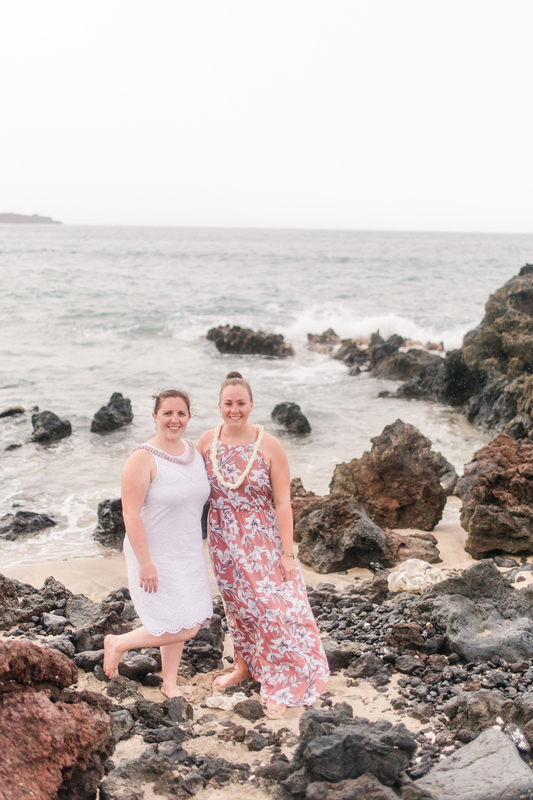 They recently moved to Oahu for a job, and since we were going to be traveling to Maui for Hailey and Mike's wedding this October, the Julies made a Maui-weekend out of it and joined us on the island!! 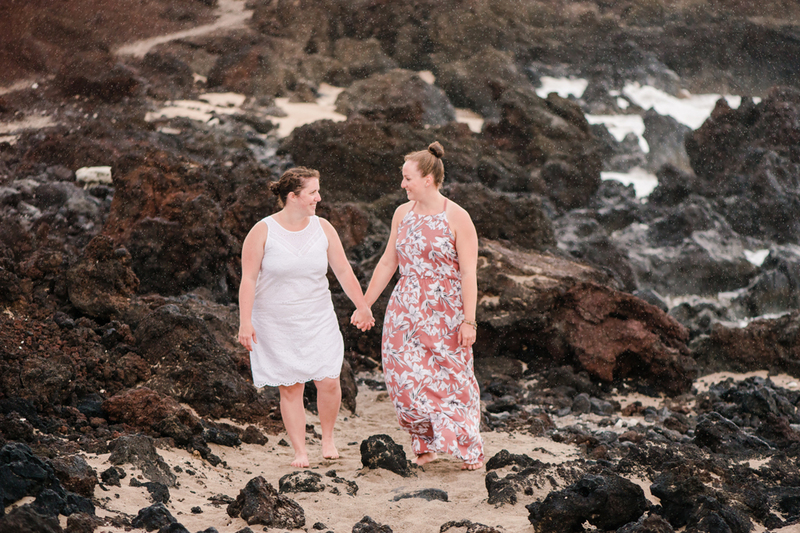 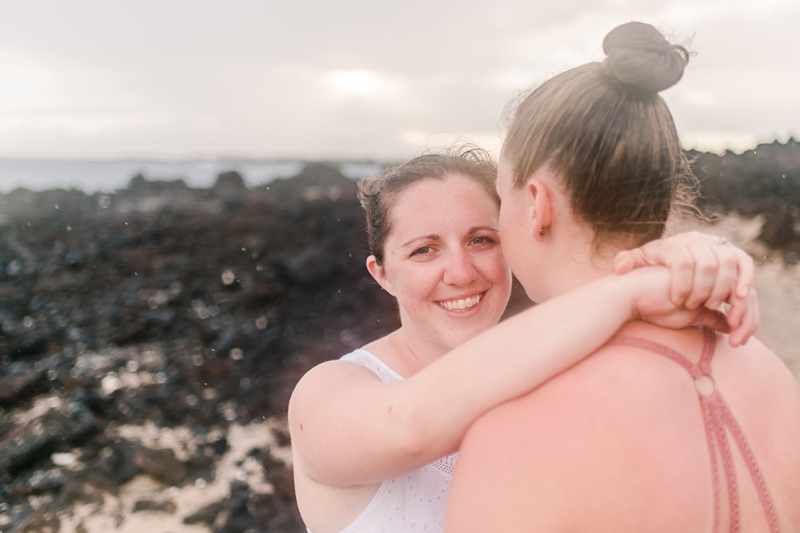 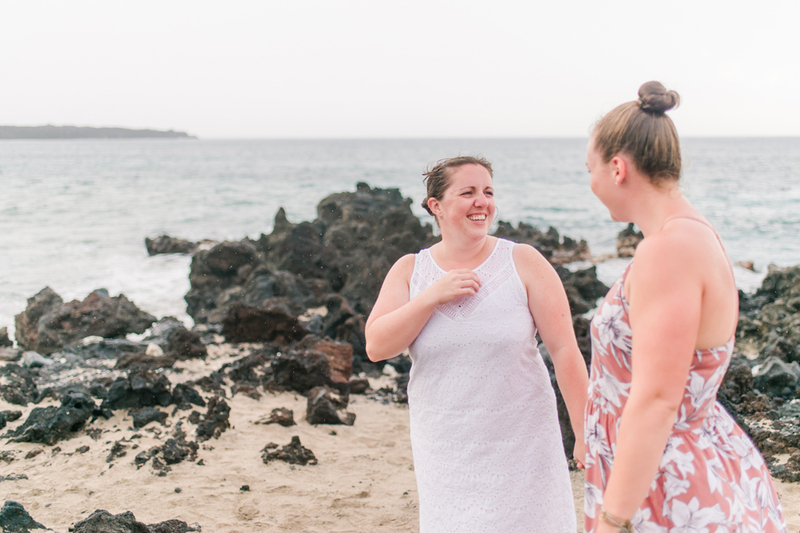 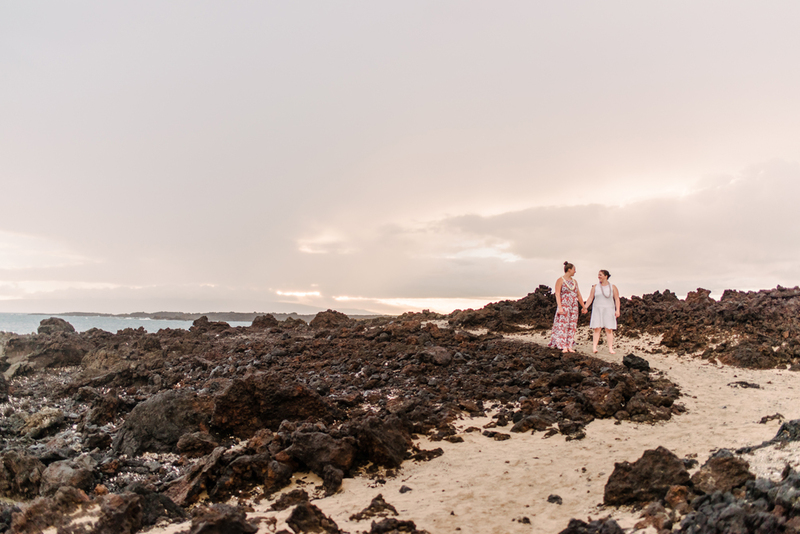 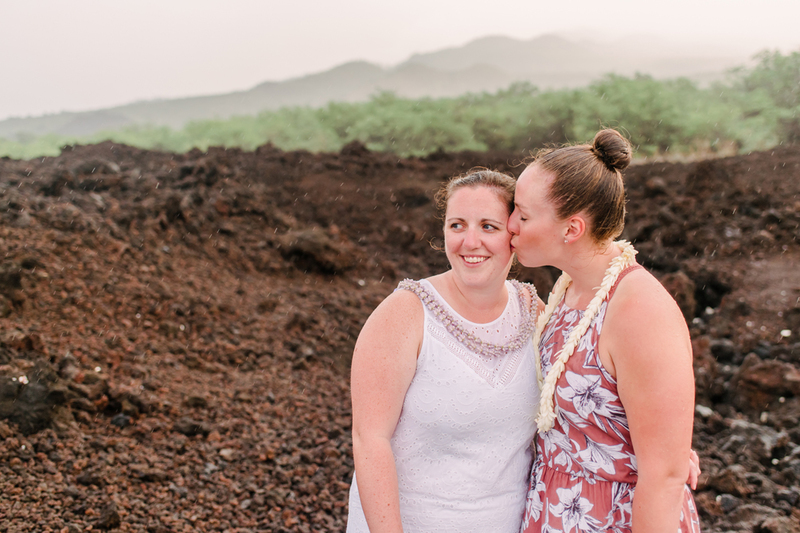 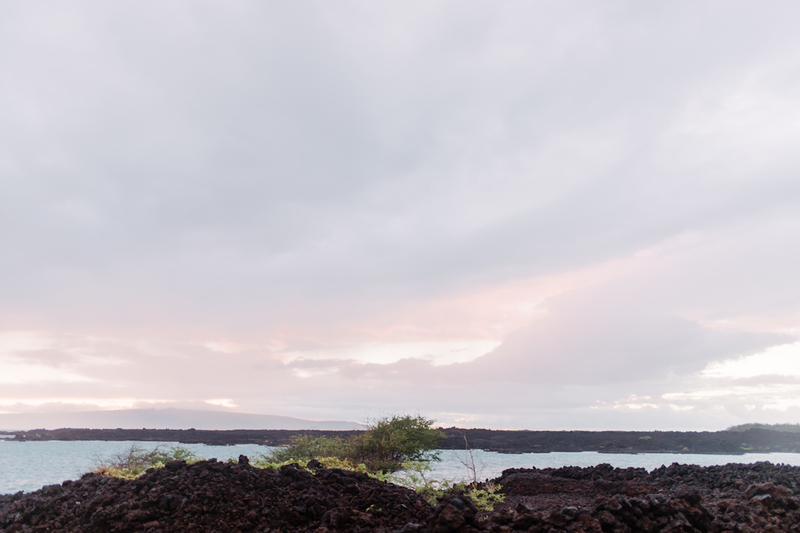 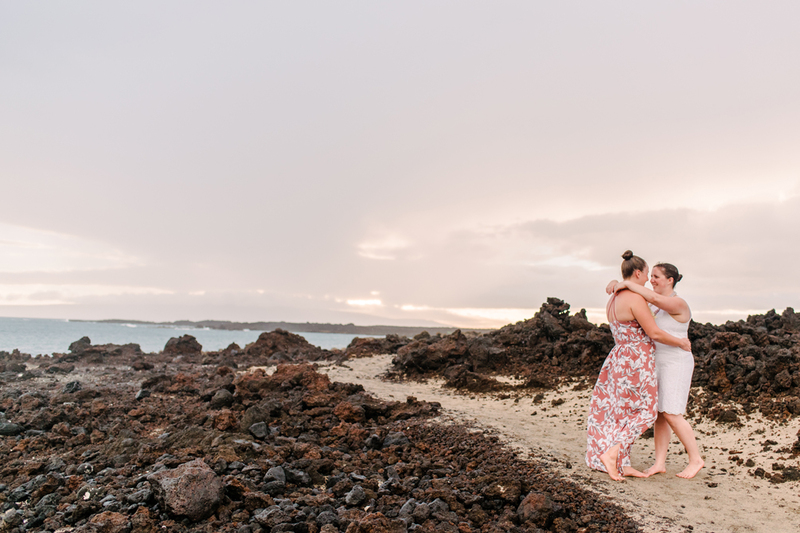 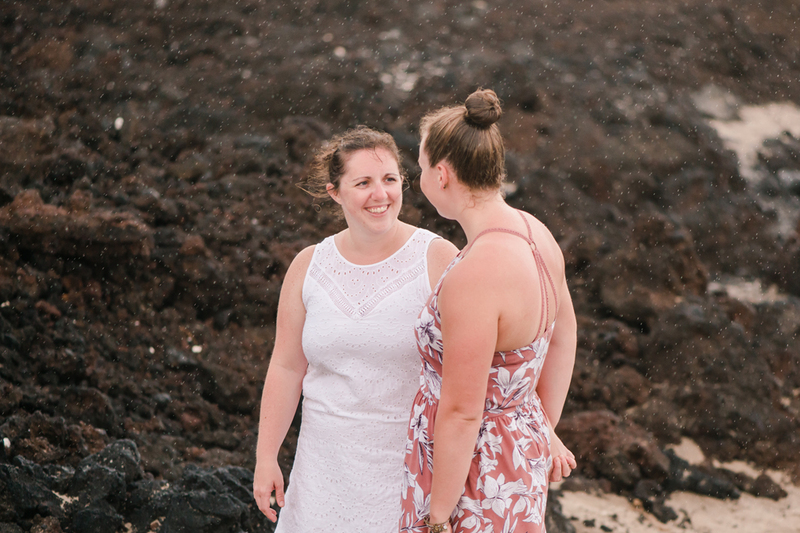 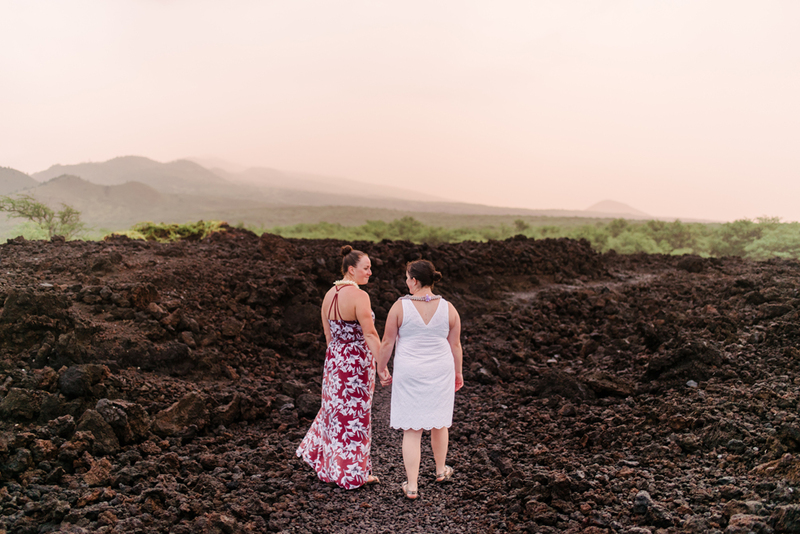 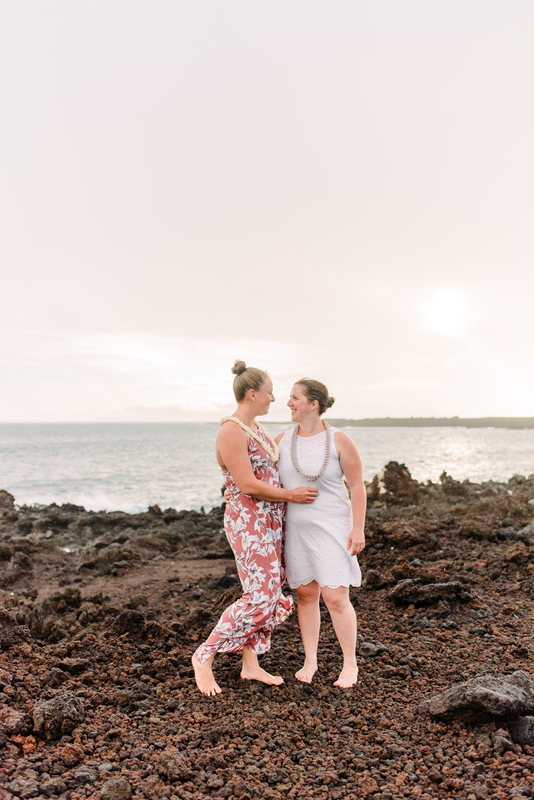 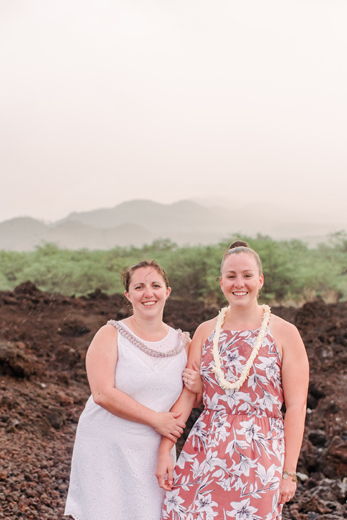 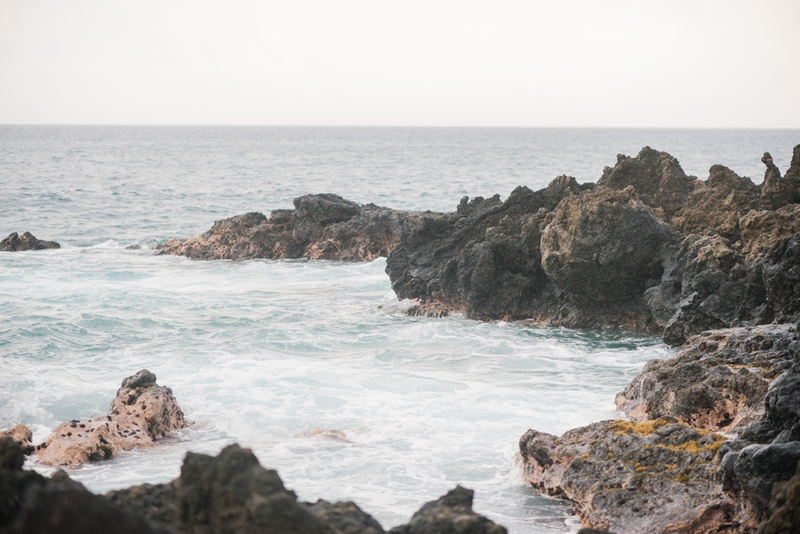 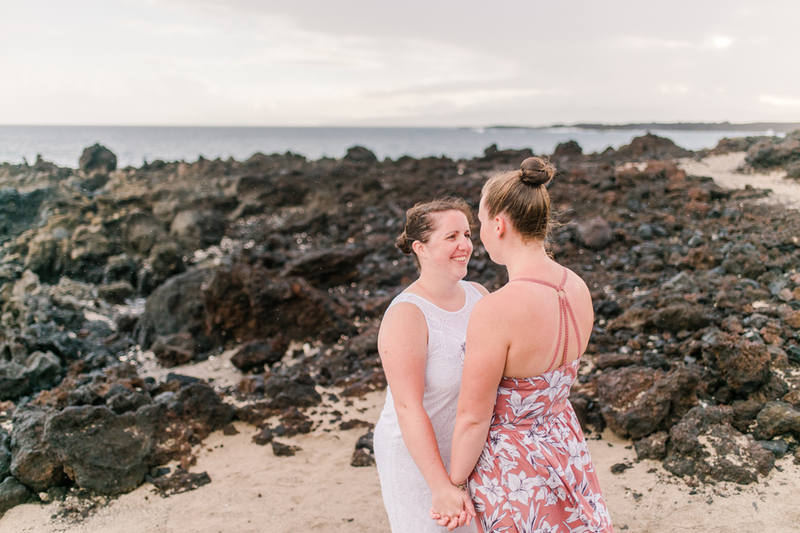 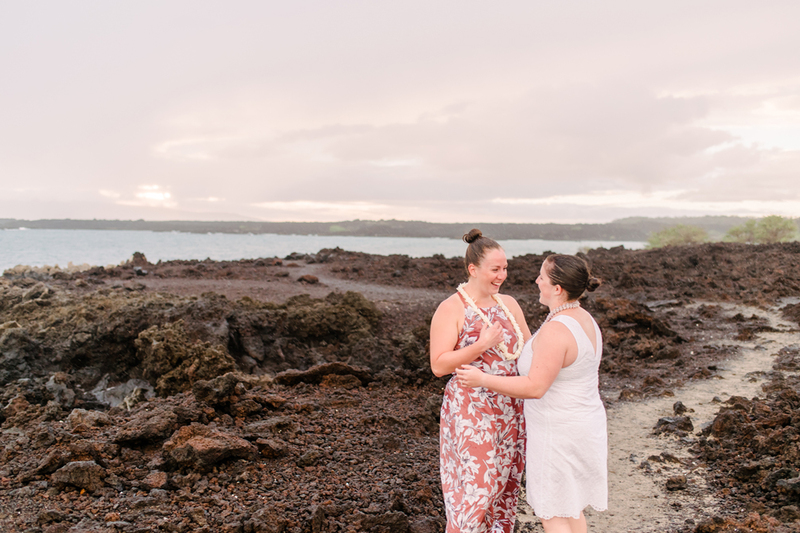 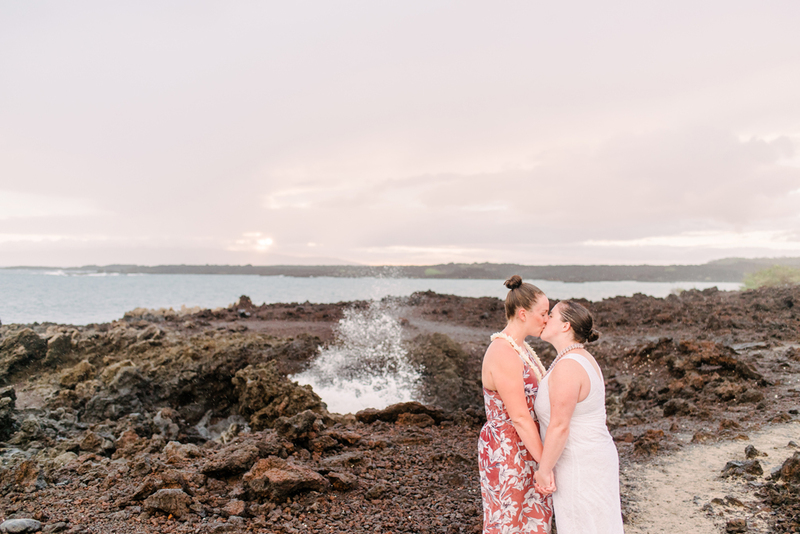 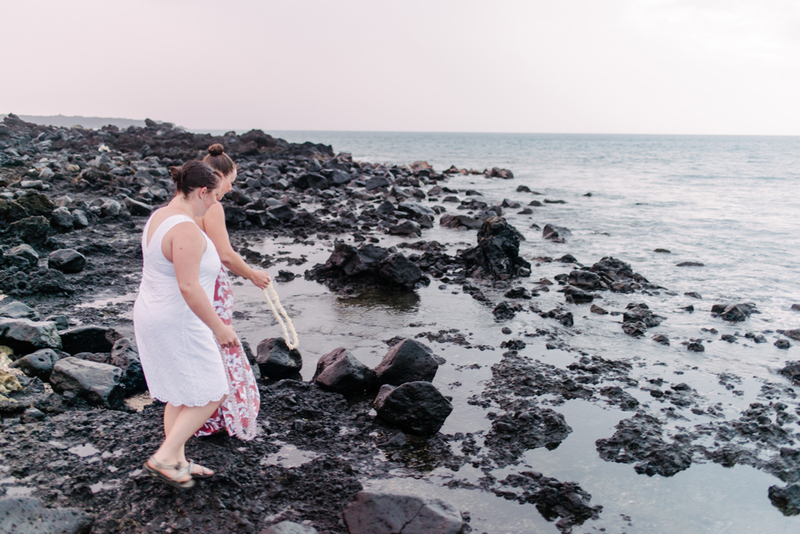 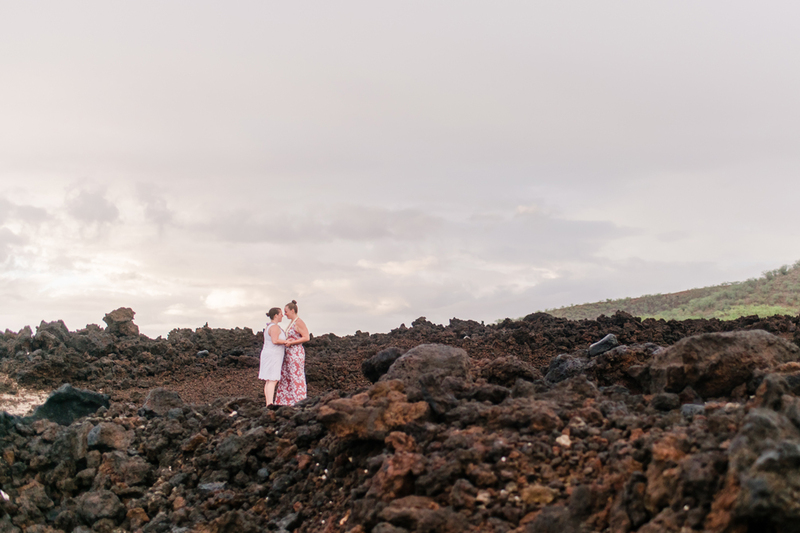 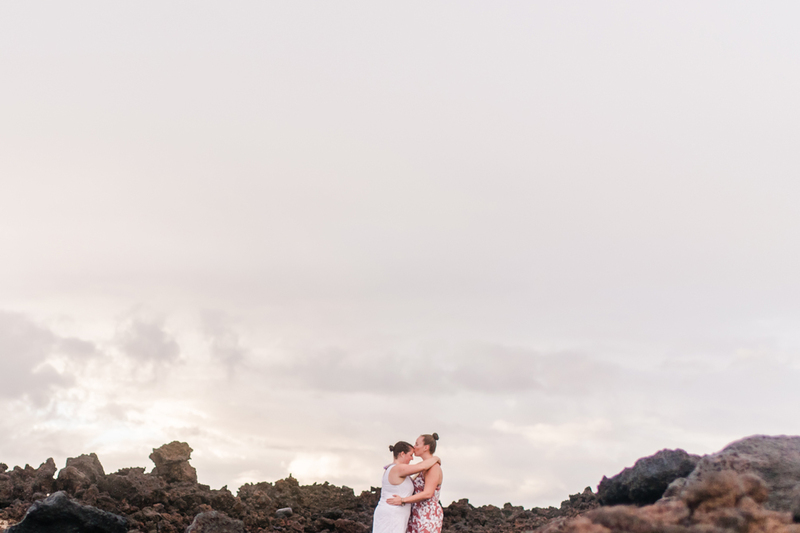 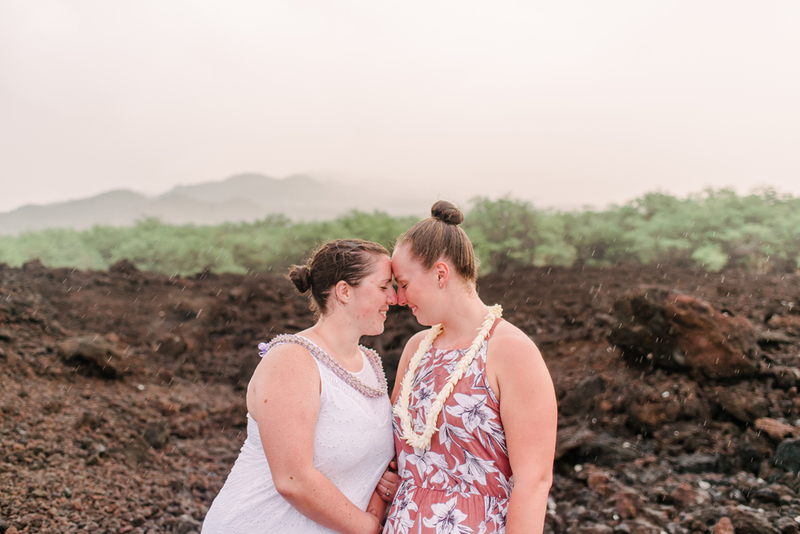 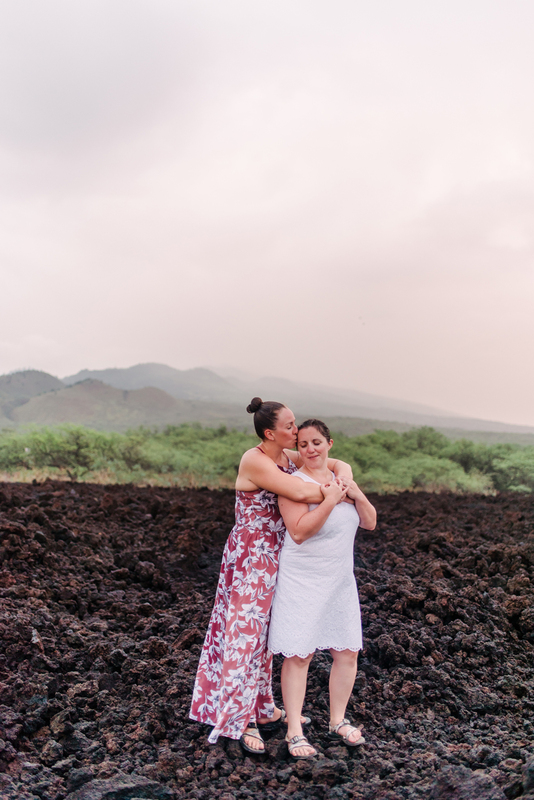 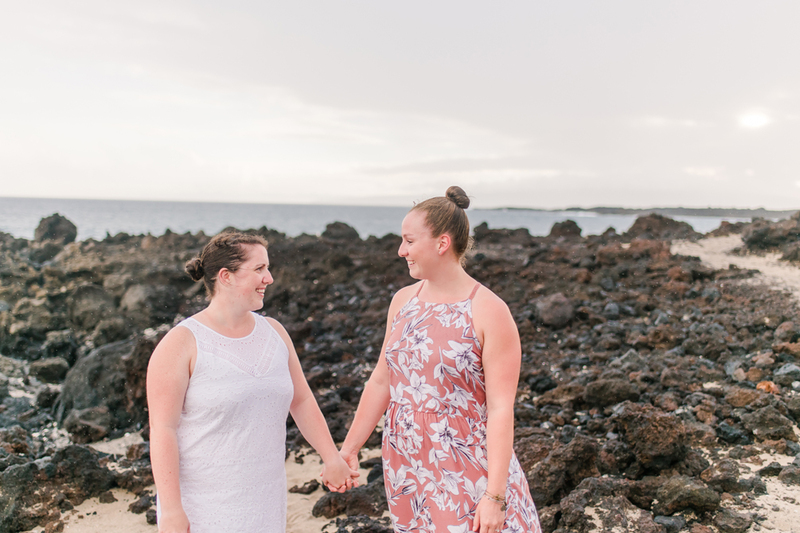 They found an incredible park of lava fields that had the coolest vibe - misty rain and all! 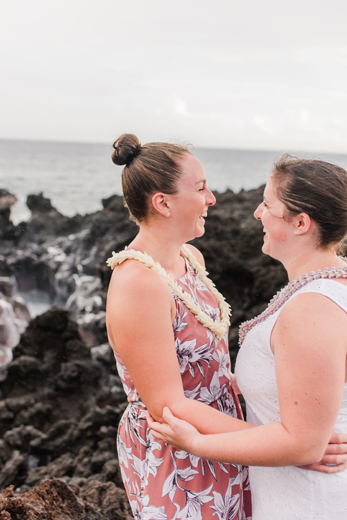 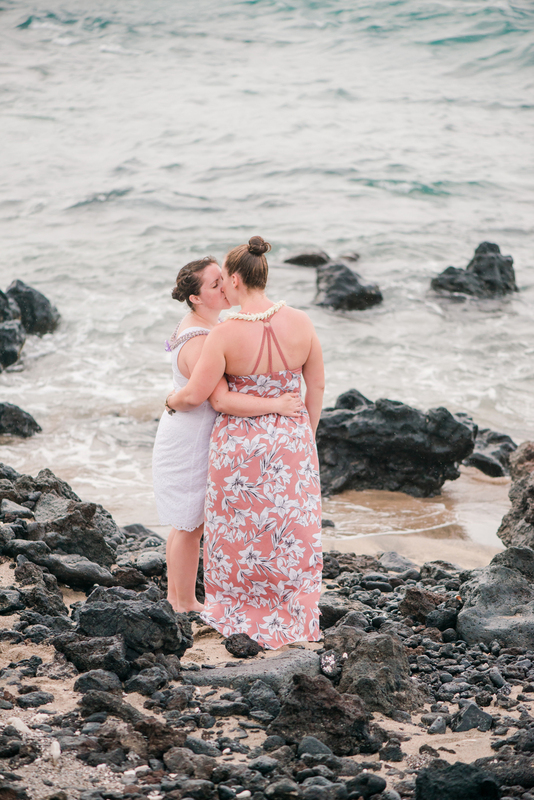 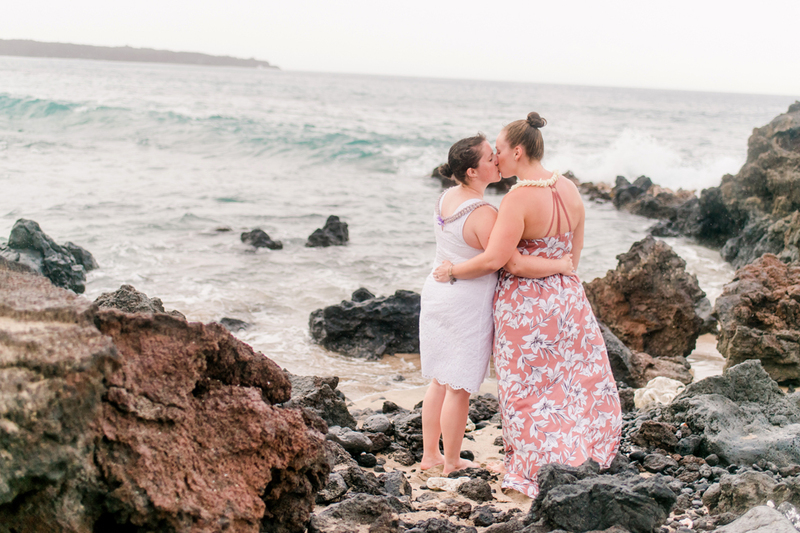 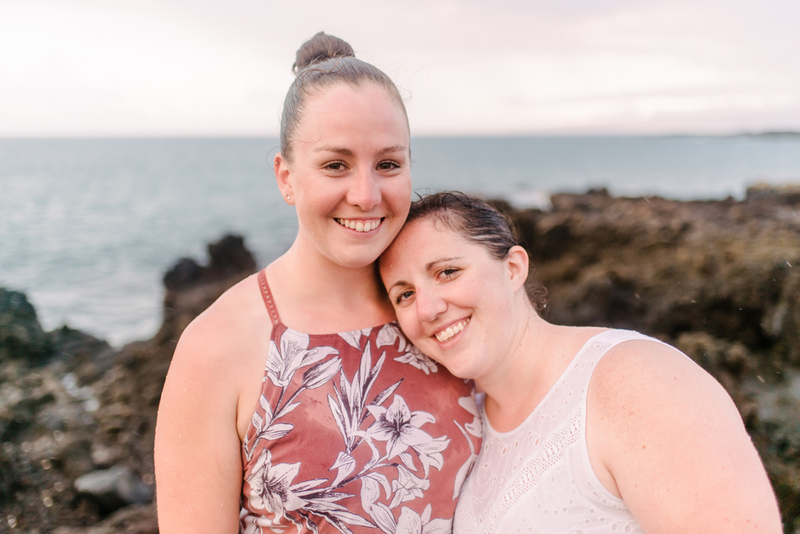 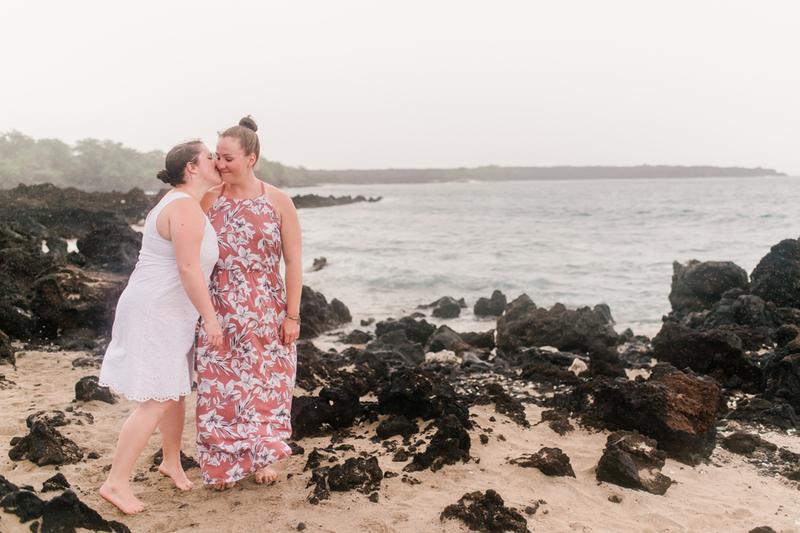 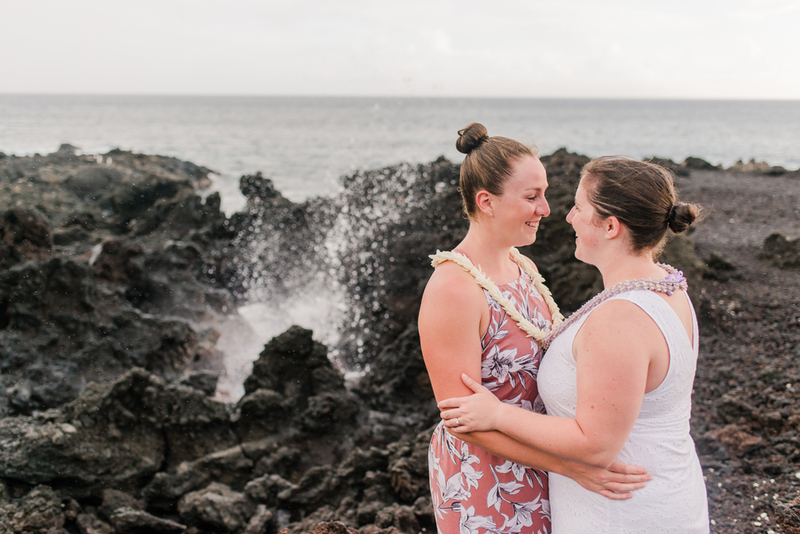 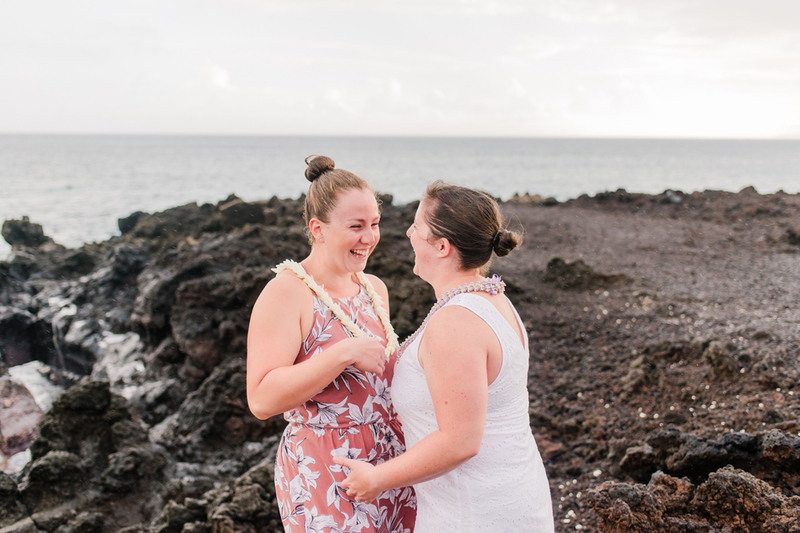 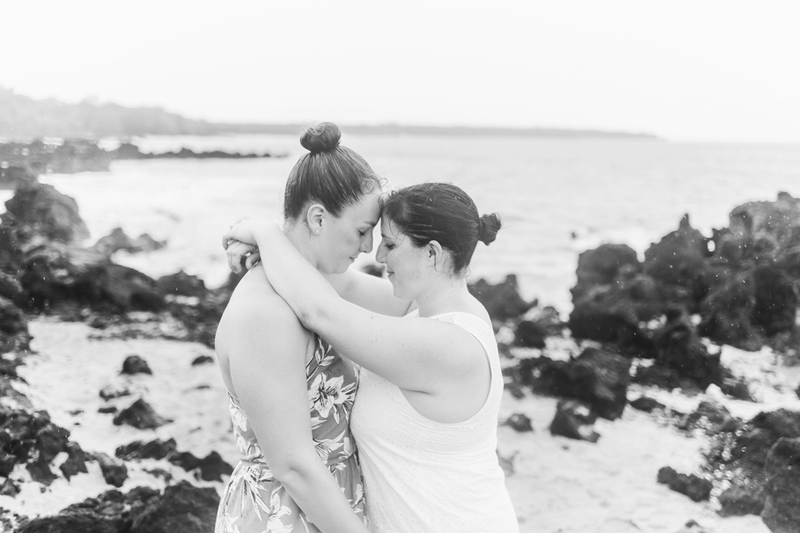 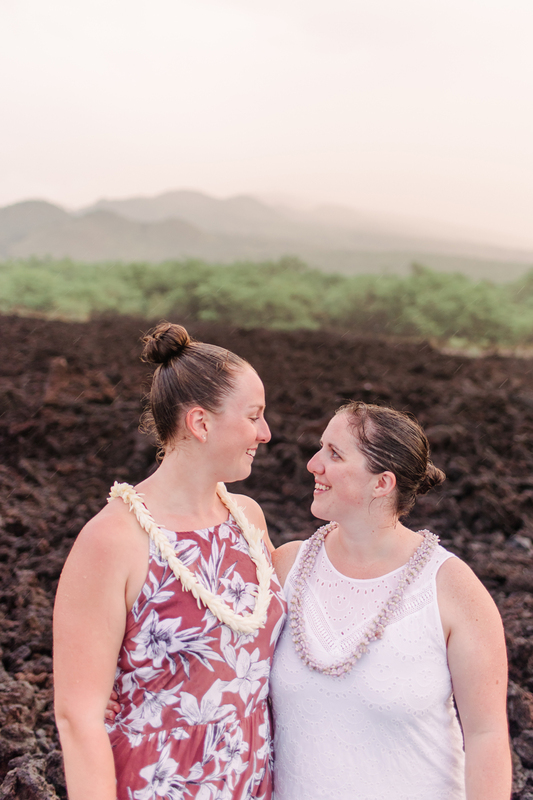 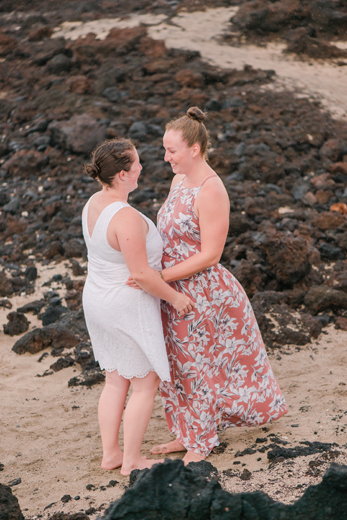 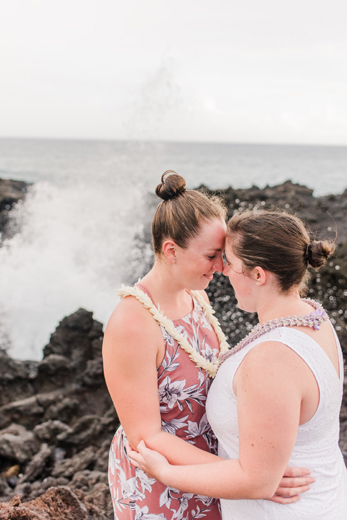 Love how laid back these two are and am so glad we could get a few more photos together before their wedding day (oh, and we naturally had to grab some beers at Maui Brewing Company of course!). 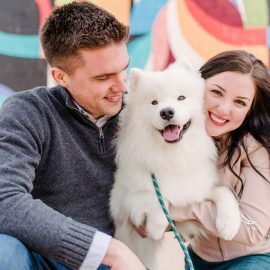 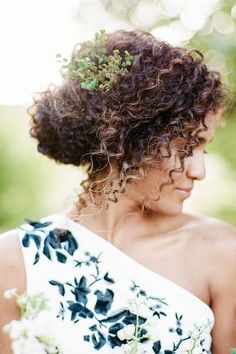 This was such a fun session and I'm so grateful we could take these! 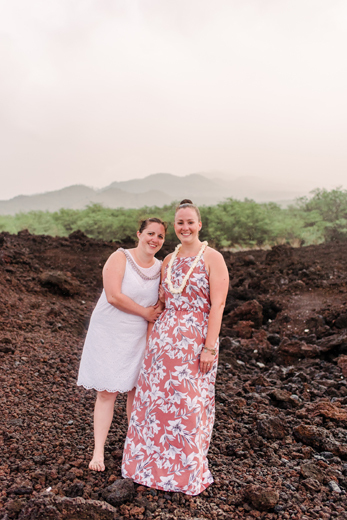 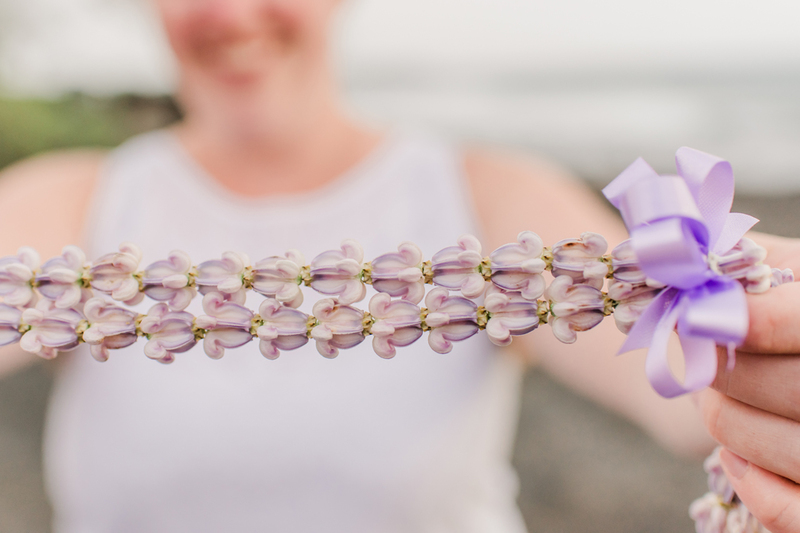 Congratulations again Julie & Julie - can't wait to see you back here next Spring!! 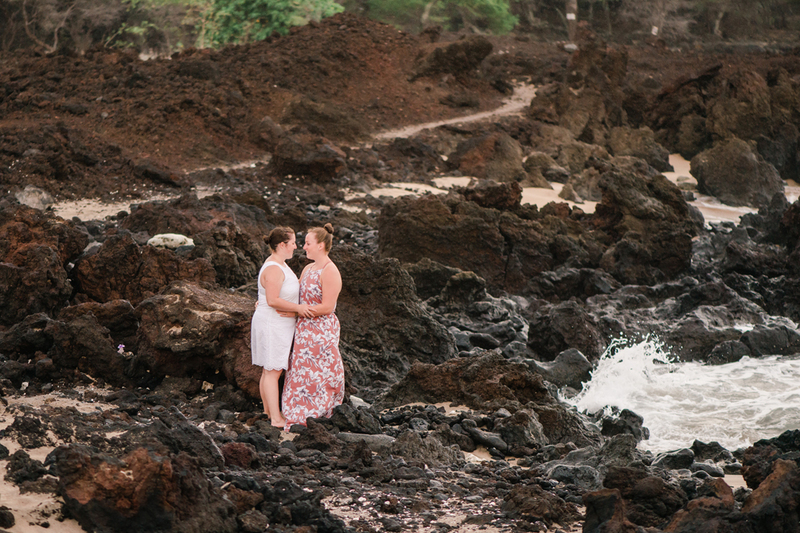 Oh and Adam shot with me during their session too and got some awesome images like this one!! 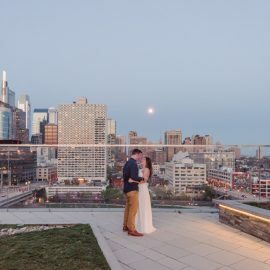 Everywhere we turned it was a beautiful view! 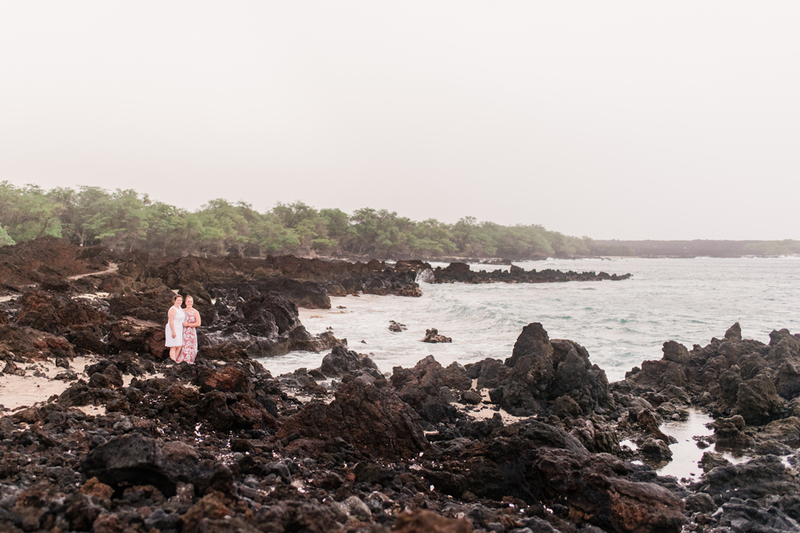 Missing Maui lots lately as it gets colder here in Maryland..